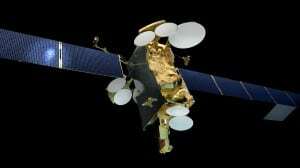 [Via Satellite 07-17-2014] SES has ordered the company’s largest high throughput satellite (HTS), SES 12, to increase capacity available in the Asia Pacific region. Airbus Defence and Space is contracted to build the satellite with an electric plasma propulsion system. SES plans to locate the SES 12 at 95 degrees east co-located with the SES 8 satellite, effectively replacing NSS 6, which was launched in 2002. SES has not revealed the cost of the satellite, nor has a launch provider been announced, but the company expects to launch the satellite in 2017.